Christmas time is more than the season that children look forward to. It is also the time that more packages and letters come to business mailrooms than any other time of the year. It seems that everyone is in a rush to finish their year off right or to get projects moving before the holiday’s interrupt for a few days. Not to mention all the gifts that are shipped for the holidays. 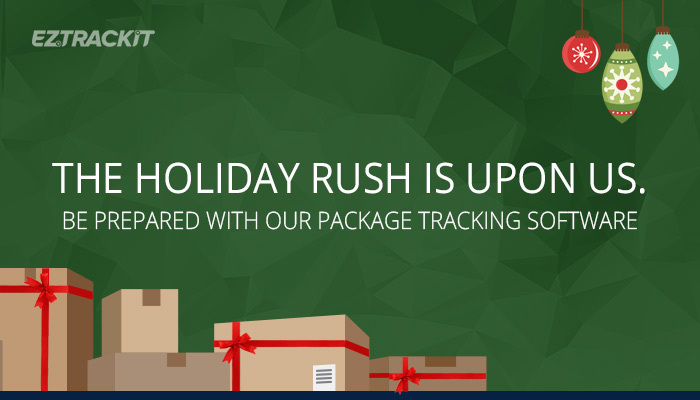 EZTrackIt provides a way to keep track of incoming packages to make the job of sorting and distributing mail easier and more efficient… Especially during peak seasons for incoming packages. How Does Our Package Logging Software Help During the Holidays? The new app from EZTrackIt makes it simple to know where incoming mail is in the system. When clients call seeking information about a package, you’ll know if the package has been delivered and where it is in the system. Ease your mind and the minds of people who sent mail by being able to give a clear and specific answer about mail that has been logged into the system with our package logging software. Log the deliveries with a quick barcode scan when they reach the delivery point. Logging packages is quick and easy whether you need to log one item or dozens. Many problems that other programs have are eliminated with the EZTrackIt app. It takes little time and little effort to track deliveries. If needed, you can have the receiver sign for delivery. The signature process is quick and easy. When the package is delivered, the information can be sent to the database, and you are done tracking that package. EZTrackIt offers simple to use interface and mobility which makes it a transformative tool for the corporate mailroom. You can get a free demo to prove how simple to use this app is, and how reliable and organized your mailroom and mobile package tracking can be. When the delivery company is bringing in dolly after dolly of packages each day, you simply use this app to log the packages into your system, then the recipients will be sent automatic notifications that they have packages. The simplest way to prevent the backlog of mail and packages during the holiday season is let the recipients know they have a package, so they can determine if they need to get it immediately because they know if the package is a part of an important project or a toy they don’t want their children to see before Christmas so it is less of a rush.